NEW YORK (AP) — The New York Yankees were hit with an $18.9 million luxury tax by Major League Baseball, the 10th consecutive year they will pay a penalty for their spending. The team finished with a $222.5 million payroll for purposes of the tax, according to figures sent to teams Thursday and obtained by The Associated Press. Following its payroll-shedding trade with the Los Angeles Dodgers last summer, Boston finished just $47,177 under the $178 million threshold. The Los Angeles Angels wound up at $176.7 million and Philadelphia at $174.5 million. Figures include average annual values of contracts for players on 40-man rosters, earned bonuses and escalators, adjustments for cash in trades and $10.8 million per team in benefits. New York has run up a luxury tax bill of $224.2 million over the past decade, with the fee increasing from $13.9 million last year. The Yankees' tax rate rose from 40 percent to 42.5 percent this year and figures to climb to 50 percent next season. But they hope to get under the threshold in 2014, when it rises to $189 million. Dropping under the threshold would lower their potential tax rate in 2015 to 17.5 percent. "It affects my decision-making process, my communication about the pressure points we have," Yankees general manager Brian Cashman said, adding that market rates for free agents also impact his choices. For the regular payroll calculation — 2012 income plus prorated shares of signing bonuses — spending by the 30 big league teams broke $3 billion for the first time at $3.15 billion after falling $43,000 short of the milestone last year. The Yankees finished at a record $223.3 million, their 14th consecutive year as the biggest spender and topping their previous mark of $222.5 million in 2008. However, the Dodgers could break that mark next year following a summer and autumn of acquisitions. Los Angeles currently is at $207.9 million for 21 signed players, including adjustments for the August trade with Boston that brought Adrian Gonzalez, Carl Crawford and Josh Beckett to the Dodgers. 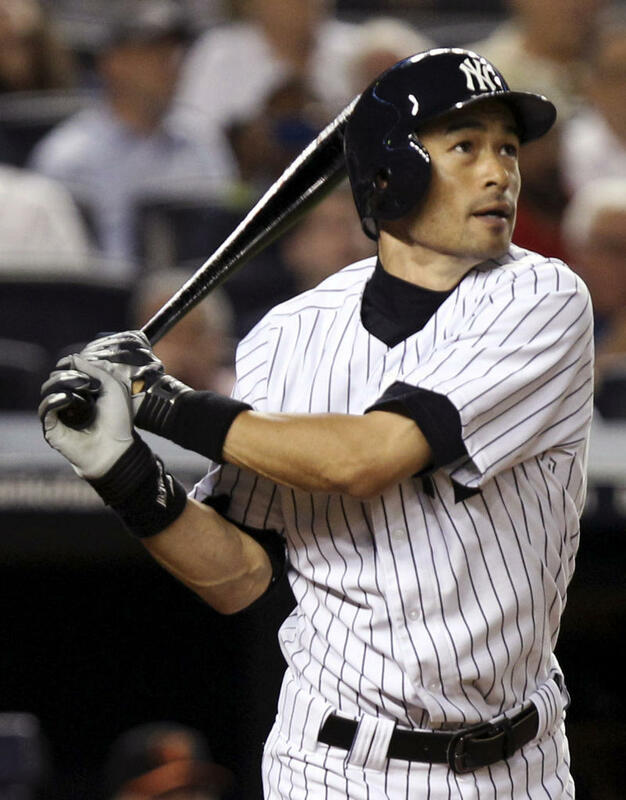 The Yankees are at $182 million for 14 players, including a deal with Ichiro Suzuki that hasn't been finalized. "You don't get a trophy for having the highest payroll," Cashman said. "I'm not going to feel weird either way, if we're the highest or we're not the highest. That's not the issue. Just want to be the best." Philadelphia was second at $169.7 million, followed by Boston ($168.6 million), the Angels ($160.1 million), AL champion Detroit ($140.7 million) and World Series champion San Francisco ($138.1 million). Even while shedding some stars during the season, Miami rose from $61.9 million to $89.9 million. The Marlins figure to drop to the bottom of spending next year after trading nearly all their veterans. Among the big slashers were the New York Mets (from $142.2 million in 2011 to $103.7 million) and the Chicago Cubs (from $140.6 million to $107.7 million). Oakland won the AL West despite the lowest payroll in the major leagues at $59.5 million. The division rival Angels rose from $143.1 million to $160.1 million yet still missed the playoffs. They added slugger Josh Hamilton this week with a $125 million, five-year deal set to be announced Saturday. The Dodgers, sold during the season to a group headed by Mark Walter, Stan Kasten and Magic Johnson, climbed from $109.9 million in 2011 to $129.1 million. In the last week they added pitchers Zack Greinke ($147 million over six years) and Ryu Hyun-jin ($36 million over six years). The commissioner's office computed the average salary at a record 3,104,563, up 2.2 percent from last year's $3,039,161, The players' association, which uses a slightly different method, pegged the average at $3,213,479, up 3.8 percent. Payroll figures are for 40-man rosters and include salaries and prorated shares of signing bonuses, earned incentive bonuses, non-cash compensation, buyouts of unexercised options and cash transactions, such as money included in trades. In some cases, parts of salaries that are deferred are discounted to reflect present-day values. According to the collective bargaining agreement, checks to pay the luxury tax must be sent to the commissioner's office by Jan. 21.